Take example that Mr. Everybody typed a keyword in Google search to get a sense of competition on the keyword he has typed. It seems clear that it will be harder to position themselves on the front page on a number of responses from several million more than a few hundreds of thousands of responses. Well we will say NO! Not necessarily in any case, it lacks evidence to conclude that. Among the answers, all sites are not optimized for the query entered. So the question is, is there a 5000 sites optimized for SEO for this keyword, or there are there only 10? To get an idea of that, just check the main points you would have optimized your site to appear on the tag in question: the title and inbound links! Using Google commands allintitle: “keyword” and allinanchor: “keyword”, you will know the number of sites that have placed those keywords in their title and their anchors optimized backlinks. Given that these are 2 of the most important criteria in a listing, you have good cards in hand. To find out, we must look at those already in the first results. If it is well known sites, it will be difficult to pass. A good knowledge of the sector is important to be able to identify the major players. For others you do not consider “imposed on the market, you should analyze their sites and ask the right questions” is the keyword that is my aim in the domain name of my competitors ? . A full study can be done properly and quickly analyzing the most important criteria referencing your competitors, particularly as explained in this post analyzing the listing of its competitors . Google offers a service for generating keywords , created the basis for users to set their Google Adwords campaigns. With this tool, you can find ideas for keywords, but also know the volume of monthly research on a particular query. The results sometimes seem strange and should not be based only on this service even if it is very useful. 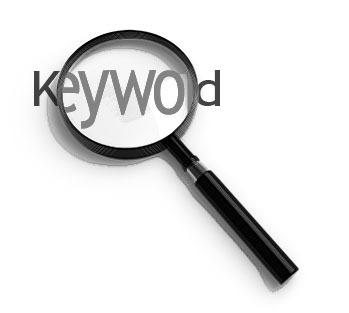 With all these tools, you will be able to know the competitive level of a keyword. This Article Has Been Shared 3836 Times! With these 19 tips, you can be sure that any effort to link building will be maximized! Google Analytics is one of the most powerful tool for analyzing the traffic and change your plan according to the need. Here is details on how to use Google Analytics. Basic SEO Tips for Bloggers is targeted for the newbie Webmasters who fails to understand the complex terms at the starting of their blog or website. Rich snippets and Organization of Schemas will be the most important factor determining factor in Google search in near future for your blog or business. Cite this article as: Abhishek Ghosh, "How to determine the competition of a keyword," in The Customize Windows, March 17, 2011, April 18, 2019, https://thecustomizewindows.com/2011/03/how-to-determine-the-competition-of-a-keyword/.